We have independently reviewed, rated and compared the Arctic King AC range. Not very long ago having an air conditioning unit in your home was considered the ultimate luxury, whereas today most Americans would consider air conditioning an absolute necessity. In fact, according to this article by CityLab, in America, air conditioning units are more common in homes than garages, dishwashers or dining rooms. It’s really no wonder why there are so many different forms of AC units. This article will look at the varieties available from Arctic King. Who makes Arctic King Air Conditioners? The Arctic King brand carries several types of AC units based on consumer’s wants and specific needs. Window AC units are small box units that fit directly into a window. Through the wall units are similar to window units but are installed within a hole in the wall. Many of these options are more permanent and some also provide heat in addition to cooling. Portable AC units (or tower units) are larger options that are often on wheels. They have a small vent on the back that exhausts through a window. And slide casement units are also installed in windows – they are specially made for windows that open to the side or slide open. Below we list a variety of the models, their BTU output and the area they can cool. Window AKW05CM71-E 5,000 150 Sq. Ft. Window WWK10CR81N 10,000 450 Sq. Ft. Through the Wall AKTW10ER62 10,000 450 Sq. Ft. Through the Wall WTW-12ER5A 12,000 550 Sq. Ft. Through the Wall WTW-14ER5A 14,000 700 Sq. Ft.
Portable WPPH08CRN 8,000 250 Sq. Ft.
Portable WPPD12CR8N 12,000 350 Sq. Ft.
Portable WWPD14HR8N 14,000 400 Sq. Ft.
Slide Casement AKSC10CR51 10,000 450 Sq. Ft. 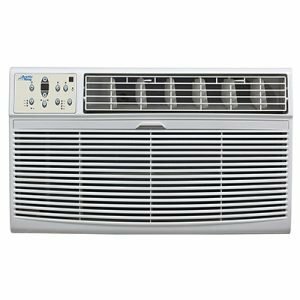 The Arctic King 5000 BTU Window Air Conditioner is our favorite Arctic King window unit and what I would describe as a middle-of-the-road window AC. Will it cool your small room? Yes. Are there better options on the market? Probably. The unit itself if rated to cool a room of about 150 square feet, so it would be ideal for a bedroom or a small dorm room. 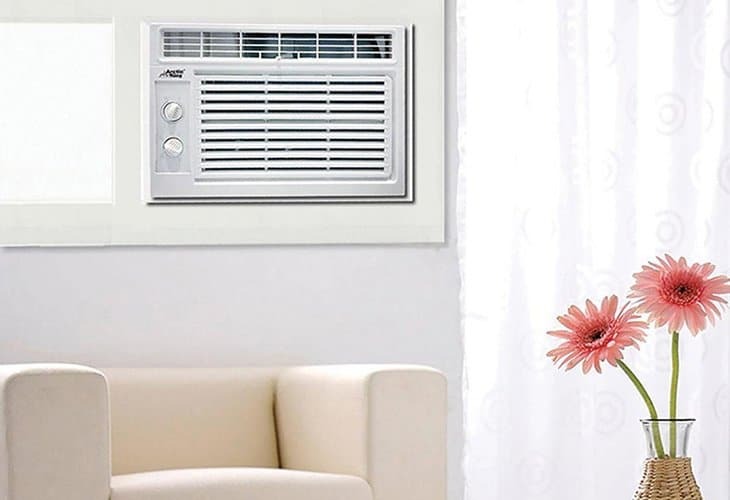 It’s a very basic air conditioning unit and might be great for someone who is looking for an affordable option for a small room or studio that they don’t use regularly. The controls are mechanical and there are two fan speeds. The biggest complaint that users have shared time and time again is that it takes forever to cool a small room and almost always needs to be set on high, so it’s a good thing it is relatively energy efficient with an EER of 11.1. That said, it is an extremely affordable option if you’re on a tight budget and need AC now. If you have a few extra dollars, it might be worth checking out these other small AC units that we recommend. A lot of people go out and purchase an air conditioning unit when they need to be cooled off NOW. If you need instant satisfaction, a through the wall unit is probably not for you. But if you have a little bit more time for installation and setup and you’re looking for a more permanent solution to your cooling needs, then a through the wall unit is a great option. Our favorite option is the Arctic King AKTW08CR71E. It’s a rather small model that runs on 8,000 BTUs, so it will cool an area of about 300 square feet (though ideal for a room smaller than that). The model listed above, though still our favorite, has been updated over the last few months – the newer model is here. This through the wall model looks great on paper and will only cost about $68 to run throughout the year, according to its energy star pamphlet. Personally speaking though, these small appliances don’t give me the permanent feel that you would expect when literally cutting a hole in your home wall to make it work. Unless you’re really set on having an AC/heat combo that you can use throughout the year (and you’re willing to replace it with a similar model once it pitters out), I would rather suggest a portable AC unit like these, or even purchasing a similar model in a window version as a trial to see if you like the product first without making permanent changes to your home. Window AC units and Through the Wall Air Conditioners are very similar in both size and function as they work in almost identical ways. The difference is that through the wall units are built-in. A hole is created in the wall to match the size of the air conditioning unit and creating a snug, air-tight fit. For this reason, through the wall option is much more energy efficient because window units often don’t fit perfectly and allow air to escape, etc. It might be easy to assume that because window units and through the wall units are so similar in function that they would be interchangeable, and this couldn’t be further from the truth. The main difference between the two types of units is that window ACs vent from the sides and back, whereas through the wall units vent from the back only. Installing a window unit in your home wall would not only cause hot air to vent into your insulation and walls but would make the unit quickly overheat and break. Because through the wall options are often more permanent than window units, many models on the market today now also create heat, which is a nice bonus during the cooler months. This will help offset the additional cost from the extra installation (creating a hole in your wall and installing a permanent sleeve). British Thermal Units (or BTUs, as they are often listed) are universally what most air conditioning units run on, and the number represents how much heat the unit will be able to take out of the air (the opposite is true for heater units). When you are shopping for an air conditioner it is very important to know the size of the area you would like to be cooling, as the number of BTUs you will need will vary greatly. The Arctic King brand has AC units ranging from 5,000 BTUs (150 square feet) to 18,000 BTUs (1,000 square feet). To get the right AC unit for your space, you’ll need to measure the square footage of your room. To do this, measure the length of your room by the width of the room. For example, a room 10 feet long by 12 feet wide would be 10 X 12=120 square feet. A room 22 feet long by 17 feet wide would be 22 X 17=374 square feet. The 24-hour timer is designed so that you can set the AC unit to cool a room before you get home so that you can start feeling maximum comfort right away. The fans within the unit are completely customizable to allow you to choose in which direction the airflow goes for optimal comfort. This mode works by using the compressor in short spurts while maximizing the fan usage to save energy. Instead of consistently running, the fan will run for 2 minutes within each 10-minute time period until the room temperature is above the AC unit set temperature. Then the compressor will start the AC again. Many of the through the wall AC unit options also have heating capabilities, which means that you’ll be able to use the unit all year round. Adjust the temperature of your Arctic King AC from across the room without getting up. Battery operated remotes light up – ideal for keeping bedside for when you need to adjust the temperature in the middle of the night. Using sleep mode will increase the set temperature by 2 degrees Fahrenheit 30 minutes after sleep mode is accessed and another 2 degrees Fahrenheit 30 minutes after the first increase. This new number will then hold for a 7-hour sleep period. For example, if you initiate sleep mode at 70 degrees, then after 30 minutes the new setting will be 72 and after an additional 30 minutes the new setting will be 74, which will be held for 7 hours. An eco-friendly way to keep your AC unit clean, the filter can be removed and is completely washable and reusable. 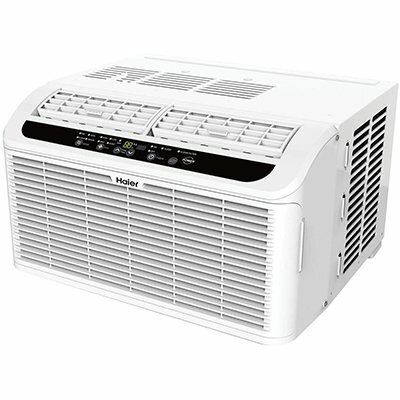 When it comes to quiet window AC units, you’re not likely to find a better product than the Haier ESAQ406T. It has a built-in compressor “blanket” that reduces noise, and at just 43 dBs on the low speed it’s 10+ decibels quieter than the average Arctic King model. The Haier version is just over 55 pounds, so it’s slightly bulkier than many of the Arctic King versions – something to keep into consideration if you have trouble lifting heavy objects or will be installing the unit by yourself. This GE window unit model is listed by Consumer Reports as one of these highest rated window AC units. It’s about 52 pounds, which means it’s about 10 lbs heavier than the compared Arctic King brand, but the price point is still about the same and the reviews are nearly all positive. 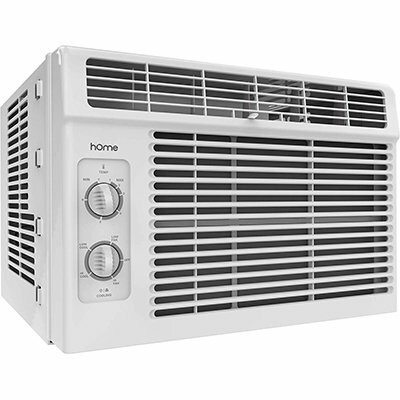 Another very basic AC model is the hOmeLabs 5,000 – a lightweight air conditioner ideal for the first-time user. 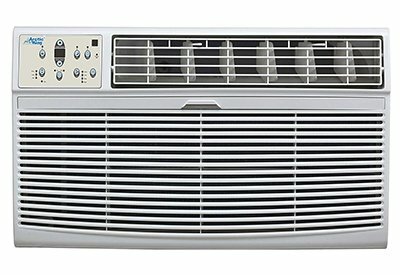 At just 36 pounds it’s very similar in weight to many of the Arctic King window AC models of the same size. Price-wise the two models are also very similar. We love the hOmeLabs version for its antibacterial filter that can be washed once a month for optimal clean airflow. Many of the problems that people face with their Arctic King AC units come from not properly maintaining them over time. Just like other home appliances, AC units (especially ones with direct access to the outdoors like window units or through the wall units) need regular maintenance. This YouTube video by Meteorology Lab shows you just how much dirt and grime can build up in a window unit in just a year’s time, and how you can properly clean it out. Unfortunately, many of the other troubleshooting complaints with the Arctic King brand come from specific parts breaking and the near impossibility of being able to find replacement parts. With the Arctic King being a bit of a budget brand, if your model breaks after several years of use it might be time for an upgrade. Star13 says in this Walmart review that the through the wall units are really great, but they are sorely disappointed that the unit only lasted for just over 3 years and replacement parts are hard to come by. Normand D. posts on Amazon that he needed an air conditioner that day, and his Arctic King model did just a fine job. MidwestMotoRider shares in his YouTube video that this Arctic King 8,000 BTU window unit has a few positive points but really struggles to keep up during warm days. 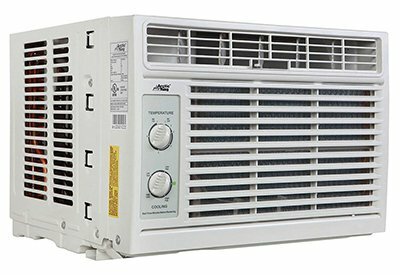 Arctic King AC units are decent air conditioners, especially if you’re on a budget and need AC fast. 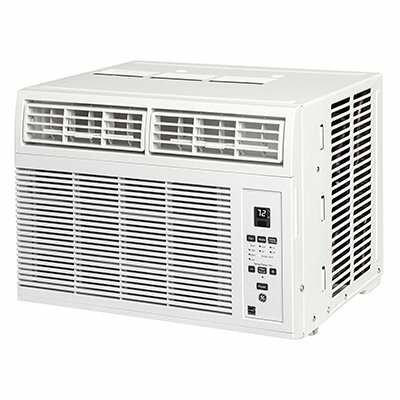 For small rooms, we recommend the Arctic King 5,000 BTU Window Air Conditioner. This very basic model might be missing the bells and whistles that a lot of AC units have today, but it will get the job done, especially if you’re in a bind or need temporary cooling while your house unit is in disrepair.